In 1985, Keith Gylander, Mark Lede and I shared a communications class at Leduc Composite High. I believe it was called Communications 21a/21b, and covered film studies. One of our assignments was to write a script for a short film, but Mark, Keith and I decided to go one better and shoot our script. Sadly, both title and film are lost to time. To my shame, I lost the only VHS copy shortly after graduating from University. It was pretty good, too - a 1984-esque tale of mental manipulation. I played the hero, a man rebelling against the system; Mark, I seem to recall, was in charge of torturing me. 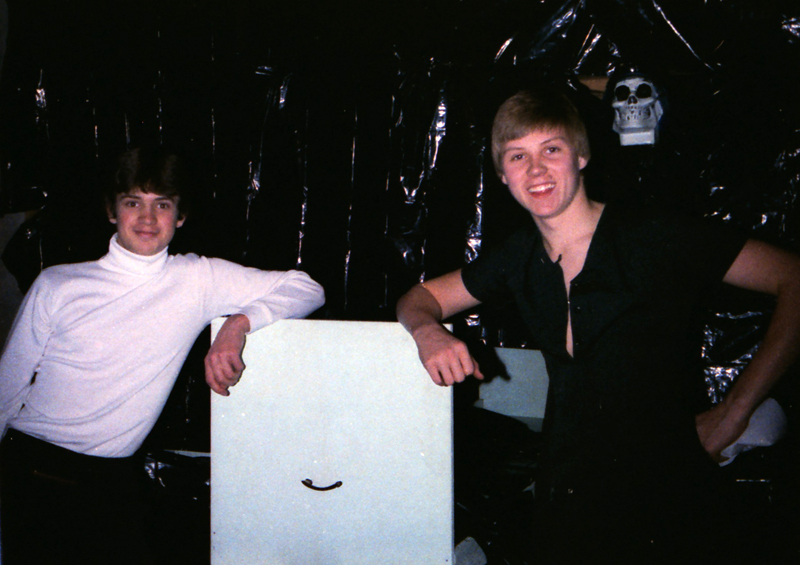 The film ended with me on a morgue slab, covered in a clear plastic sheet; you can see Mark and Keith posing on that set below. Mark and Keith earned 95 percent, while I turned in a separate script that scored 98 - something about a man being led to execution. 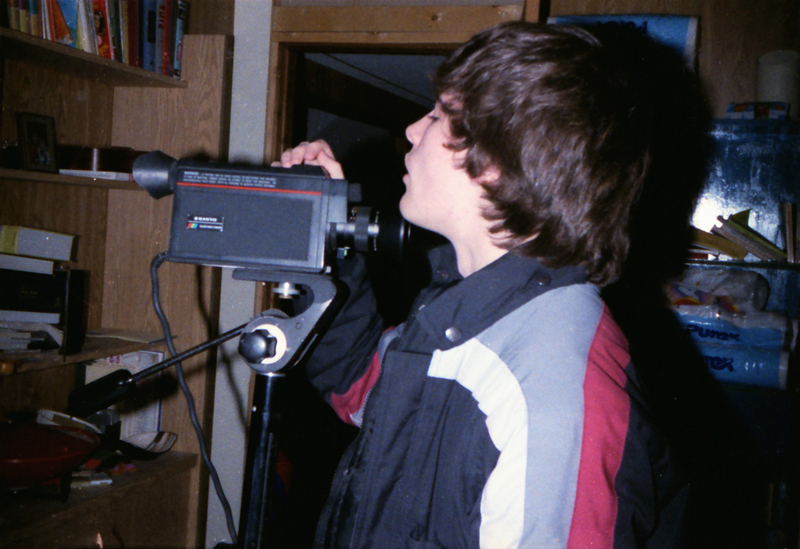 I was a little embarrassed that my unfilmed script scored higher than one that had produced an actual movie, and I don't believe I ever told Mark and Keith, or if I did it was with some degree of unworthiness. I only remember one line, one of Mark's: "For if you give your mind to the Realm, you will be strengthened as the Realm is strengthened." If I'd kept my mind on the Realm, maybe I'd still have the tape. Keith and Mark pose before the slab that was to hold my body.